The impressive South African writer, critic and publisher, Ishmael Mzwandile Soqaga (below) continues to make great strides in the African literary circuit. An author of at least five thought provoking books himself, Mr Soqaga believes in the primacy of Africans' rights to be published and assessed on their own terms, hence his forays into publishing: he is the Managing Director of Eselby Jnr Publishers based in South Africa. The firm has issued over 20 titles in recent years. Africa must have its own voice, and must not be frustrated or daunted by the usual travails associated with publishing in the continent, Mr Soqaga avows in his varied writings. He has published a number of titles and new authors, including yours truly. Indeed as an important writer and critic himself, Soqaga reminds us of Eurocentric world class writers like Mark Twain and Virginia Woolf who also ventured into book publishing in their time. For example, apart from publishing her own books, the distinguished Woolfs also published many other writers, including the first Kikuyu (Kenyan) writer in English, Githendu Parmenas Mockerie. In Africa, over the years, prominent writers like Ken Saro Wiwa of Nigeria, and Asare Konadu of Ghana also published books. Soqaga is forging ahead in this wise too. 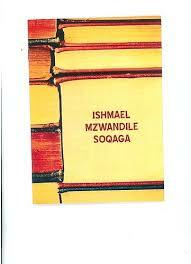 The writings of I. M Soqaga show clearly that he believes in everything African with a passion - as witness his work, Promoting Quintessential African Writing. It is reassuring that his dedication in this wise is adding more allure to such writing, as he continues to publish his own books and others. Congratulations, Mr Soqaga. Please continue the good work, during these arduous times for literacy and literature in our continent. Well done. 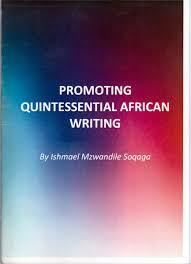 Mr Soqaga strives to protect the intellectual integrity of Africa...a process the late Achebe was a great pioneer for. We need literary warriors in our continent. One cannot but be impressed with the contributions of Mr Soqaga. Mr Soqaga is an awesome publisher and world renowned writer. And his works speaks volume and promote African writers and their great works. Africa is in the center of talented writer and it is clearly showing patriotism. Allow me to put some stones in my shoulders, I'm privileged to meet and know Mr Soqaga in person and all I can say is, he is a man of his words and his humility is coated with sugar. Congratulations Sir. Fine poetic words from Sir Thiba here - humility coated with sugar. Africa is blessed! To be fair one should add a handful of other SA black writers who have ventured into book publishing too - like Vonani Bila, and Pule Lechesa. Of course, kudos to Ntate Soqaga. A cursory glance at the internet does show that Mr Bolaji's recent books are all published by Eselby Jnr in S.A. So Mr Kunle is right here. Has Mr Soqaga published any female writer?